This is Part 52 of a series in which every member of the 2015 Dodgers has his season juxtaposed with an episode of the greatest sitcom of all-time. Don’t take it too seriously. 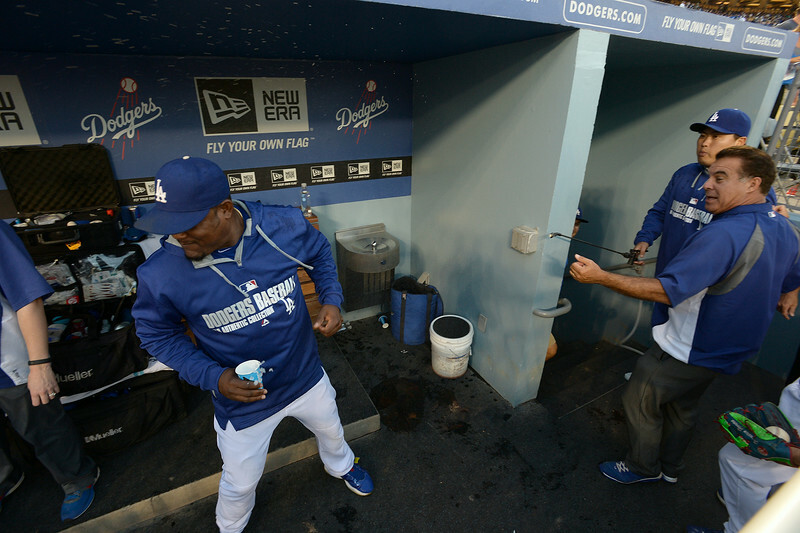 Game 100: No more streak for Zack Greinke, no more Juan Uribe nightmares for Dodgers. NEW YORK — Zack Greinke had more to say about Juan Uribe than his scoreless-innings streak Sunday — odd, considering how Uribe ended the Dodgers’ 3-2 loss to the Mets and Greinke’s streak ended at 45 &frac23; innings. The box score is here. Scott Van Slyke suffered maybe the most unusual injury of the season on Saturday. Eric Stults will report to Double-A Tulsa. 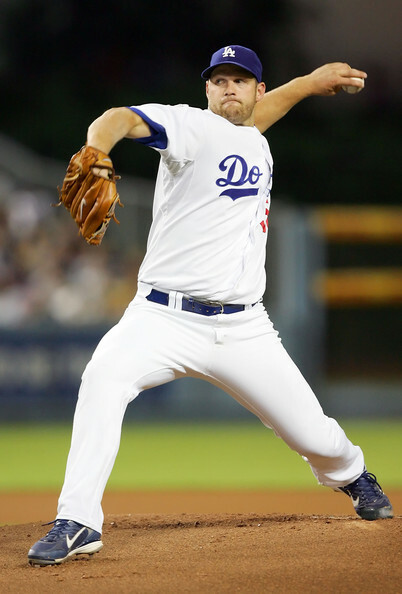 DENVER — Left-handed pitcher Eric Stults, whom the Dodgers acquired in the recent trade that sent Juan Uribe to the Atlanta Braves, will report to Double-A Tulsa. Stults had been designated for assignment immediately after the trade became official. By accepting an outright assignment, Stults returns to the club that drafted him in 2002 and employed him at the major league level from 2006-09. In nine games (eight starts) for the Braves this season, Stults went 1-5 with a 5.85 earned-run average. The Dodgers were ultimately able to keep all four players they acquired for Uribe and pitcher Chris Withrow in the organization. Pitcher Ian Thomas is in Triple-A, pitcher Juan Jaime is at extended spring training and infielder Alberto Callaspo is with the Dodgers. Chris Cotillo of SBNation.com first reported that Stults accepted the outright assignment. Game 45: You can’t win ’em all, or at least most of ’em, against left-handers. Alex Wood made the Dodgers look stiff at the plate in a 3-2 loss Wednesday. 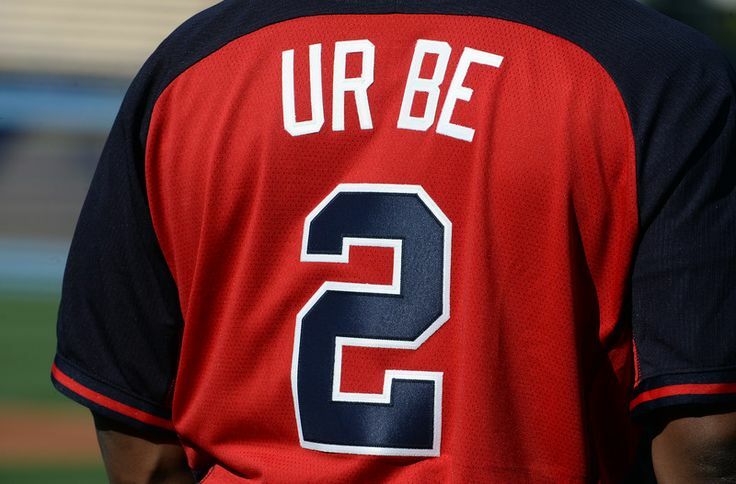 Bad puns aside, he isn’t the first left-handed starter to dominate them this season. The Dodgers are now 2-5 against lefties. Only two NL teams have seen fewer left-handed starters this season and only one (the Colorado Rockies, who are 18-26 overall) has a lower winning percentage. The final two at-bats of the game went like this: Ground ball off Juan Uribe‘s chest, Alberto Callaspo pinch-hit flyout. Of course. Once the trade dust settled, Uribe and Andrew Friedman had a slightly different version of events: Uribe said he never talked to Friedman about being traded to a team that would allow him to play everyday; Friedman said that Uribe’s agent, Martin Arburua, specifically proposed this idea. The truth, whatever it is, won’t change the fact that Uribe’s a Brave now. Friedman offered a telling quote later, saying “I think personally (the trade) was tough for him, but professionally he was excited.” So maybe Uribe doesn’t want fans or teammates to think he wanted out, but he needed out as a professional who wanted to play baseball. That’s just a guess, one that would be consistent with Uribe’s character. Andrew Friedman, Fredi Gonzalez on Ian Thomas. The Dodgers will stretch out Ian Thomas, the left-hander acquired in the Juan Uribe trade, as a starting pitcher. The 28-year-old made 21 appearances out of the Atlanta bullpen the last two years, going 1-2 with a 3.94 earned-run average. Friedman’s opinion of Thomas is even higher. He began talking to the Braves about Thomas in spring training, and liked the lefty enough that he threw in fireballing right-hander Chris Withrow along with Uribe. Thomas has one option year remaining on his contract. Withrow had Tommy John surgery in June 2014. The Dodgers were not counting on him returning until 2016, “in terms of him getting back to what he was,” Friedman said.